35 LISTS Unbelievable AnimalsThere are more than 8 million species walking, swimming, and flying around Planet Earth. Here are lists about a few worthy of your attention. Baby animals may be incredibly cute, but no matter how cuddly, squishy, and adorable they are, one thing's for sure - they've got to be fierce. The rough lives of baby animals seem to involve a constant fight against the odds - and in some cases, 80% of their siblings will kick the bucket. Young animals like polar bears, Komodo dragons, and hippos literally have to fight to survive, whether that means trying to avoid being eaten by their own moms, starving in treacherous terrain, or suffocating before they've had a chance to take their first breath. And it's not just baby animals who have it rough - sometimes their struggling mothers have to make the difficult choice to either kill their young or face starvation. If you're a shark mom, your own babies end up eating part of you, but at least you know you've raised some tough cookies. Giraffes, sea turtles, hyenas, and other adorable animals with tough lives are constantly battling the world around them. Here are the incredible lengths just a few of these creatures go to simply in order to exist. Baby giraffes may seem fragile because of their thin bones and long necks, but the truth is that they're actually beasts of survival. 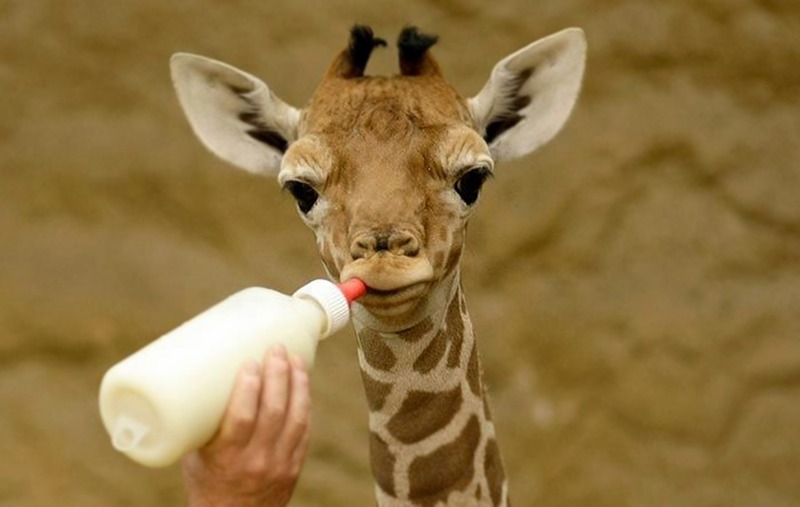 A baby giraffe has to go to great lengths to survive - literally. Female giraffes give birth standing up, which means that their little ones have to fall over six feet down to the ground - they're basically thrown out of a first-floor window! Worse yet, they have to come out of the womb running - giraffes have lots of natural predators, so newborns have to learn how to stand, walk, and run all within an hour, or face imminent doom. Spotted hyenas have to come out of the womb swinging. They're born with open eyes and sharp teeth, and their entire childhood revolves around battling their siblings to establish dominance. 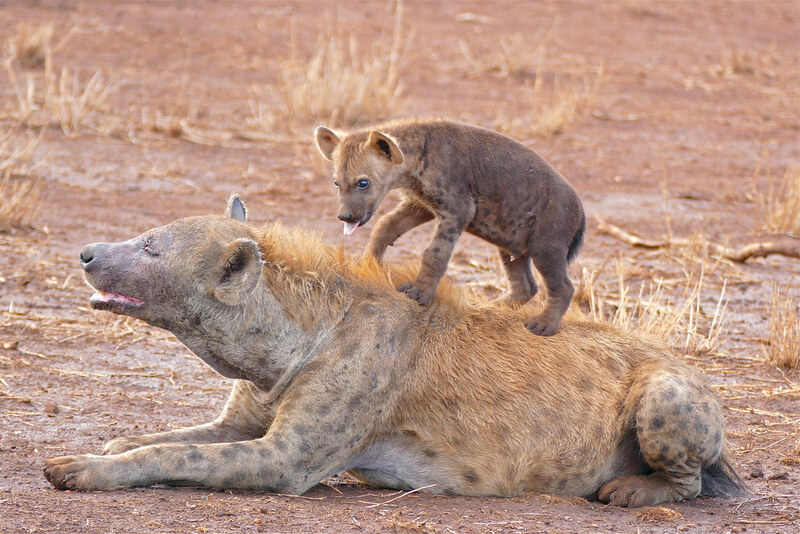 The weaker cubs almost always meet a certain death, even though hyena's only natural predators are in fact each other. The fighting can become so brutal between cubs that adult hyenas sometimes try to separate their pups, who just begin fighting again as soon as they're left alone. These battles often go on for weeks, or until weaker cubs are fatally injured. And the weaker cubs who don't happen to die from their injuries are usually so abused that they are too terrified to leave their burrows when their mothers come home to feed them. So even these cubs eventually die of starvation in their borrows, alone. Surviving as a sand shark is pretty rough - and chances are you won't even end up being born because your older brother or sister will have eaten you while you were still in your egg. Sand shark eggs hatch in the womb in different layers, so those who hatch first get a head start and end up eating the eggs that fell behind. And once all of the eggs are gone, they move on to actually cannibalizing their smaller, weaker siblings. Talk about a sibling rivalry. When baby sea turtles hatch, they're completely on their own and without protection from mom or dad. Once they break out of their eggs, they have to crawl out from under the sand and make a long, treacherous journey into the sea with only their instincts to guide them. These animals have no protection against the birds that often scoop them up for a quick meal. And if they're lucky enough to not get eaten by a bird, they still have to watch out for the crabs that'll try to pull them back underground to eat them alive. Sadly, only 1% of sea turtle hatchlings actually manage to survive into adulthood.